Expedition is the largest SUV from Ford. Well, it has its luxurious version Lincoln Navigator. Also, the carmaker could soon launch again the Excursion, which was the heaviest SUV ever. By then, the 2019 Ford Expedition is taking the top spot with its size. The major change for the next season could be a hybrid engine. The fourth generation of crossover started in 2018, so no big changes are happening on the 2019 Expedition. Minimal changes are going to bring only cosmetic refresh. Besides that, the 2019 Ford Expedition will bring special edition trim level. Ford is not giving us details on this. On the other hand, that special package could bring the hybrid engine. 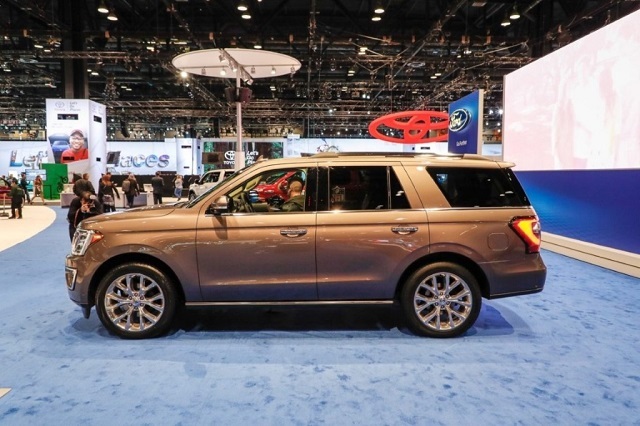 The carmaker announced that full-size Expedition, small SUV Escape, and luxurious Lincoln Navigator are favorites to get hybrid model as soon as possible. Well, no release date can be found. Until the hybrid appears, the 2019 Ford Expedition will continue to use the same 3.5-liter V-6 engine. A full-size crossover gains 375 horses and 400 lb-ft of torque. Buyers can’t pick other engine, but there is an offer of drive modes. The Expedition comes with 4×2 and 4×4 drives. Fuel economy is not so great. However, having 20 mpg combined on the full-size vehicle is a pretty good record. The 2019 Expedition will be able to tow 9,300 pounds. That makes the SUV more capable than all mid-size trucks, where Chevrolet Colorado achieves 7,700 pounds with a diesel engine. A 3.5-liter V-6 engine is the same one the company’s legendary truck is using. 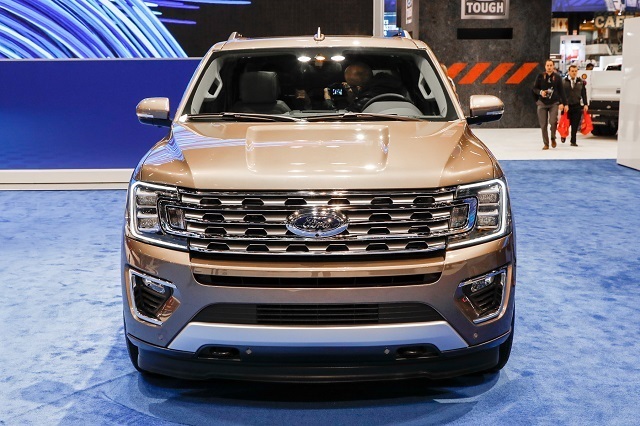 Both 2019 Ford Expedition and 2019 F-150 are expected to appear as hybrids. That makes us believing there is a connection between these two. The development is definitely in advanced stages. Both vehicles are leaders in their segments, and mild-hybrid models would only cement the spot. The same petrol engine could pair an electric motor for a slight boost of the entire specs sheet. The gas mileage is getting the biggest improvement for sure. Well, horsepower could get a modest boost, as well as torque. The extended version of the SUV is available from the last season. We will see it again as the 2019 Ford Expedition. Fans love this model because of the extra space inside the cabin. A longer wheelbase will make its driving mechanics and handling slightly worse than for the shorter model. Also, comparing to its sibling, Max SUV consumes more fuel. Longer and heavier, it is not unexpected. While the 2019 Ford Expedition is the same as its predecessor, the interior will suffer most updates. First of all, the company revisits its Sync infotainment system. Although the fourth generation came with up to date features, the technology is now on another level, no matter is just a year since the release of the new crossover. We don’t have details about the new services and features. 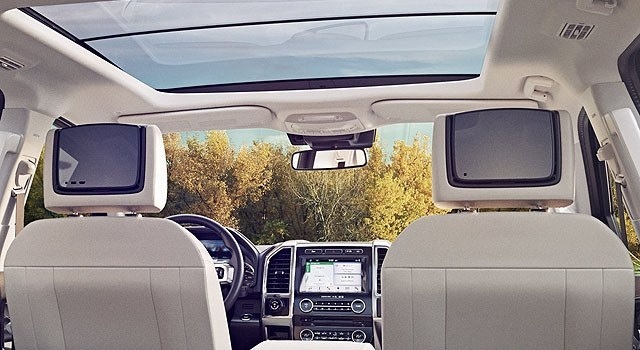 The most notable equipment of 2018 Expedition is audio system and air conditioning. 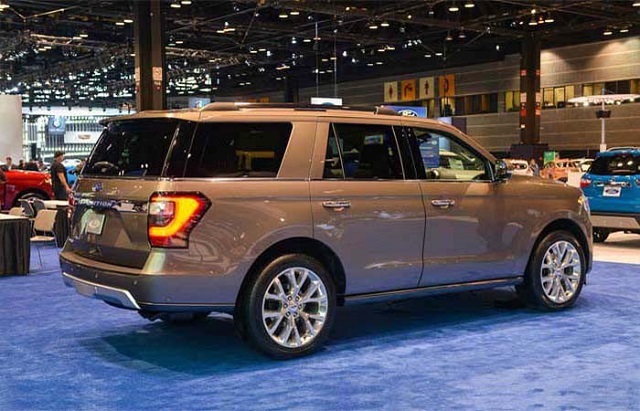 The 2019 Ford Expedition will be very elegant and comfortable. Apple CarPlay and Android Auto are standard for higher trims. Unfortunately, base SUV is not getting these services. XLT still remains pretty exciting by offering tip’n’slide seats and reclining third row. Besides this trim level, buyers will be able to choose between Limited and Platinum. The 2019 Ford Expedition is coming next year. The company will give more time before to a new model before the first update. Ford knows first lacks of the fourth-gen SUV, and fixes are not big. Also, we could see a delay with a debut of 2019 Expedition because of the hybrid model. It is not easy to make such a vehicle, so we must be patient. Ford is not going to risk with an unfinished project.